GRAMBLING, La. 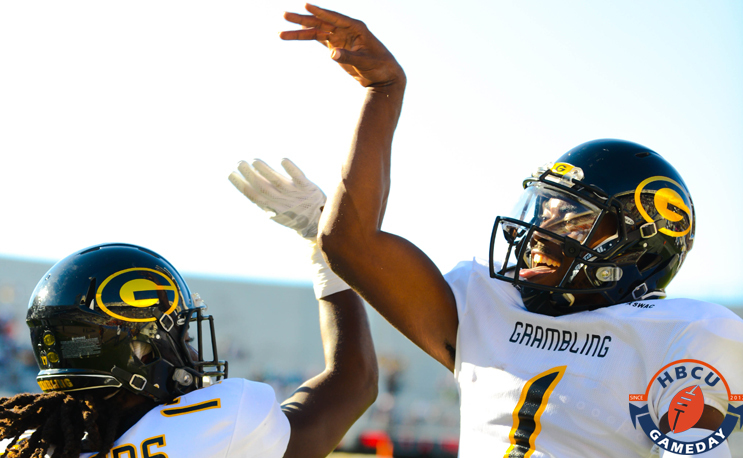 | Grambling State University senior quarterback Devante Kincade has been invited to the 2018 College Gridiron Showcase January 6-10 in Addison, Texas. Kincade, who was the 2017 Southwestern Athletic Conference Preseason Player of the Year, has thrown for 1,480 yards on 104-of-175 passing with 10 touchdowns. He is averaging 211.4 yards per game through the air. The Dallas, Texas native, who is a four-time SWAC Offensive Player of the Week honoree, ranks first in the SWAC in five categories, including passing efficiency, passing touchdowns, passing yards per game, passing yards per completion and yards per pass attempt. Also, he ranks 17th in the FCS in passing yards per completion, 20th in yards per pass attempt and 24th in passing efficiency. The College Gridiron Showcase (CGS) is a college postseason showcase for NFL Draft-eligible players across all college football divisions. CGS selects via a panel of football experts and players come in for five days and four nights to be evaluated by professional football league scouts. The players receive professional coaching, mentoring, life coaching and seminars that will benefit them as they move forward in their professional lives in and out of football.